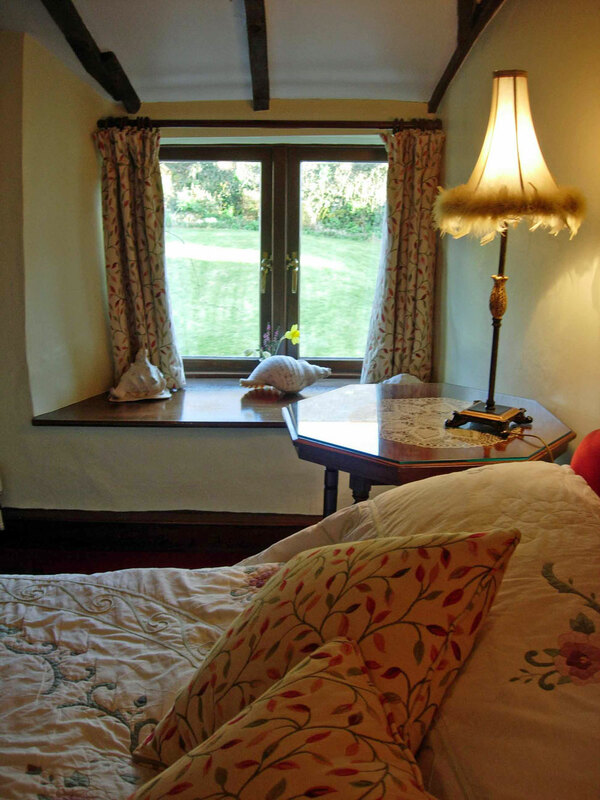 En-suite double bedded bedroom – Named after the Devon county flower, which can be found littering the hedgerows in spring, the Yellow Primrose, double bedded bedroom, is decorated in soft yellows and overlooks the pretty farmhouse garden. Situated on the first floor, this cosy bedroom in the oldest part of the 1520 farmhouse, with beams a sloping floor, has all the character of this historic farmhouse. Sleep well in it’s comfortable double bed, with memory foam mattress and soft fresh linen. 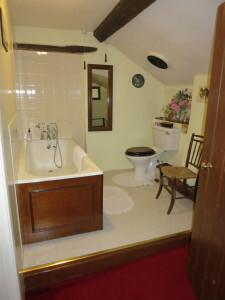 The en-suite bathroom with bath, toilet and basin has fluffy white towels and a variety toiletries to meet your needs. Whilst the bedroom has a hair dyer, well stocked tea and coffee tray including Devon fudge, radio alarm clock, digital TV with DVD player and free Wi-Fi.